>>All master data is captured of the client locations, contacts ,addresses etc. 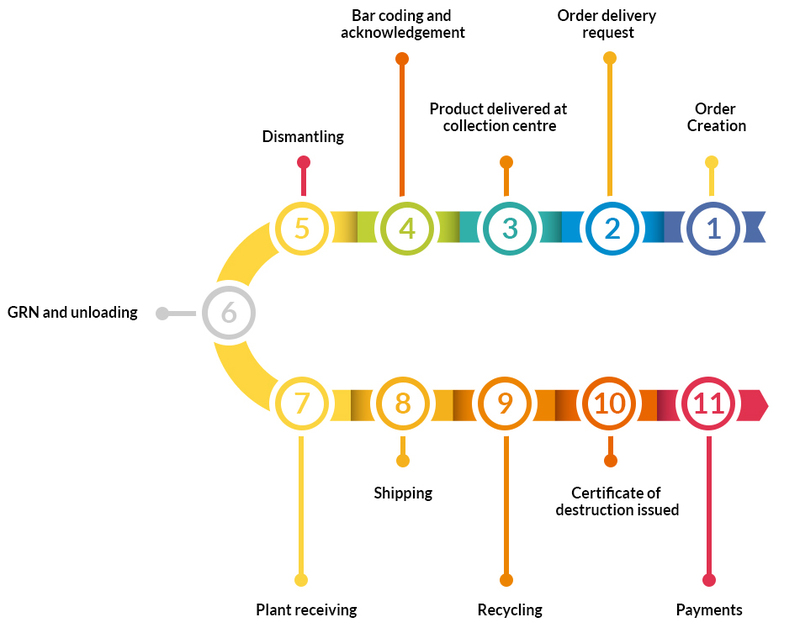 >>The entire journey of a product picked up is tracked on the portal. >>All certificates can be downloaded online. >>All MIS reports available online. >>Similarly ewaste from the informal sector too goes through similar process except order placement.